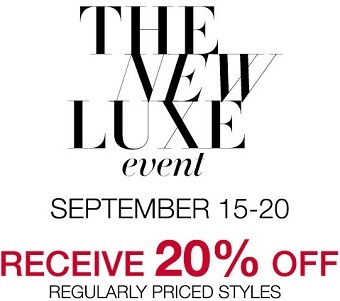 The New Luxe Event from BCBGMAXAZRIA is on. Visit BCBGMAXAZRIA store near you until 09/20/2015 and receive 20% discount on regular priced items! Source of the information is BCBGMAXAZRIA. Offer expires 09/20/2015.